(1) During the week between the Sunday of the Publican and the Pharisee and that of the Prodigal Son, there is general dispensation from all fasting. Meat and animal products may be eaten even on Wednesday and Friday. (2) In the following week, often termed the 'Week of Carnival, the usual fast is kept on Wednesday and Friday. Otherwise there is no special fasting. (3) In the week before Lent, meat is forbidden, but eggs, cheese and other dairy products may be eaten on all days, including Wednesday and Friday. (4) On weekdays (Monday to Friday inclusive) during the seven weeks of Lent, there are restrictions both on the number of meals taken daily and on the types of food permitted: but when a meal is allowed, there is no fixed limitation on the quantity of food to be eaten. (iv) oil (i.e. olive oil) and wine (i.e. all alcoholic drinks). (c) Holy Week. On the first three days there is one meal each day, with xerophagy; but some try to keep a complete fast on these days, or else they eat only uncooked food, as on the opening days of the first week. On Holy Thursday one meal is eaten, with wine and oil (i.e. olive oil). the veneration of Epitaphion at Vespers. On Holy Saturday there is in principle no meal, since according to the ancient practice after the end of the Liturgy of St. Basil the faithful remained in church for the reading at the Acts of the Apostles, and for their sustenance were given a little bread and dried fruit, with a cup of wine. If, as usually happens now, they return home for a meal, they may use wine but not oil; for on this one Saturday, alone among the Saturdays of the year, olive oil is not permitted. (1) On Saturdays and Sundays in Lent, with the exception of Holy Saturday, two main meals may be taken in the usual way, around mid-day and in the evening, with wine and olive oil; but meat, animal products and fish are not allowed. (2) On the Feast of the Annunciation (March 25) and Palm Sunday, fish is permitted as well as wine and oil, but meat and animal products are not allowed. If the Feast of the Annunciation falls on the first four days of Holy Week, wine and oil are permitted but not fish. If it falls on Great Friday or Holy Saturday, wine is permitted, but not fish or oil. (4) Wine and oil are also allowed on Wednesday and Thursday in the fifth week, because of the vigil for the Great Canon. Wine is allowed and, according to some authorities, oil as well on Friday in the same week, because of the vigil for the Akathist Hymn. keep a total fast on Monday, Tuesday and Thursday in the first week, or on the first three days in Holy Week. On weekdays – except, perhaps, during the first week or Holy Week it is now common to eat two cooked meals daily instead of one. From the second until the sixth week, many Orthodox use wine, and perhaps oil also, on Tuesdays and Thursdays, and less commonly on Mondays as well. Permission is often given to eat fish in these weeks. Personal factors need to be taken into account, as for example the situation of an isolated Orthodox living in the same household as non–Orthodox, or obliged to take meals in a factory or school canteen. In cases of uncertainty each should seek the advice of his or her spiritual father. At all times it is essential to) hear in mind that you are not under the law but under grace (Rom. 6:14), and that the letter kills, but the spirit gives life (2 Cor. 3:6). The rules of fasting, while they need to be taken seriously, are not to be interpreted with dour and pedantic legalism: “For the kingdom of God is not food and drink, but righteousness and peace and joy in the Holy Spirit” (Rom. 14:17). 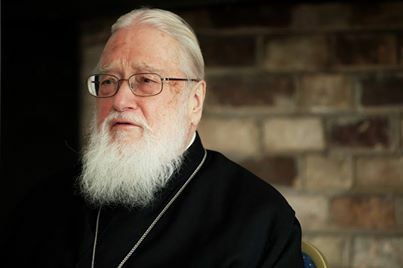 author of several books, including The Orthodox Church.